It’s clear that China like to do things their own way. 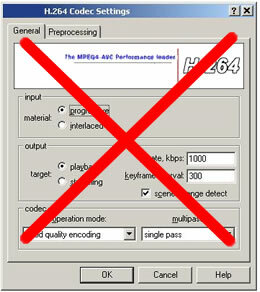 The latest in the list is a video CoDec’s, the algorithm that is used to compress/decompress video signals. Much of the world currently uses H.264, but China has developed its own equivalent, that they call AVS, standing for Audio Video coding Standard – an acronym that is bound to cause confusions with the Microsoft-backed AVC. Wei Leping, Chief Engineer of China Telecom Corp, the dominant incumbent telco, announced at the Broadband World Forum in Beijing that they will be testing AVS. While they’re not discarding the commonly accepted H.264 video coding standard – they’re currently using it for their 210,000 IPTV customers – Industry insiders are saying that China Telecom are planning to carry out a Beta trial in Shanghai. While there are claims that AVS performs better than H.264, it will also save the companies that use it considerable amounts of money in royalty payments. Specifically, China Daily estimated that China would pay between 20 – 50 billion yuan per year (£1.3m – £3.3m) for H.264 usage. By huge contrast AVS would only attract a 1 yuan fee per hardware device. I’m in Beijing for the Broadband World Forum, so thought it would be interesting to pick stories from the local press on their reporting of technology news.